With the recent buzz in the New York Times surrounding internships, I wanted to bring back my favorite expert on the subject, Dreama Lee, Co-Founder of Efficient Enterprises Inc., to share more facts on how beneficial developing internship programs can be for your business. Hiring and mentoring interns is just another way to hone your leadership skills, while growing your business at the same time. Show some intern love — after all, it’s Valentine’s Day. 🙂 Thanks Dreama! As a female entrepreneur you probably wear many different hats – running your business while balancing your responsibilities in your personal life. The good news is that there is a way to get help. The answer that many women-owned businesses are turning to is to hire an intern. Interns are smart, present an opportunity for mentorship, and they are often willing to trade on the job experience and training for little to no pay. Internships are real solutions to helping women small business owners grow by bringing on educated individuals, who can bring value to their organization, while also providing a potential pool of new employees. More importantly, during these trying economic times, recent college graduates entering the workforce face an uphill battle in finding a job in their chosen field, given the high rate of unemployment, likewise, employers are finding it difficult to grow. If small businesses and organizations can grow using the power of interns they will create more jobs, thereby helping to turn the economy around, and lowering the unemployment rate. Interns need on the job training in order to start a career in their chosen field, making them motivated and willing to work hard for your business. They can be nurtured and mentored for a future full-time position upon graduating as well. Our business tapped into this resource, and found that it works extremely well, when executed correctly. Our interns are responsible for blogging, building websites and focusing on “Search Engine Optimization” (SEO), so our sites rank higher on Google searches. They analyze and research our competitors to strengthen our company and its offerings, and manage our social media profiles on sites like LinkedIn, Facebook, Twitter and YouTube. They even research new projects for us and help us determine what new markets we need to move into. Interns Help You Save Time – Adding more man-power saves valuable time in the end. On average 1-2 hours a week is spent managing an intern, while 15-30 hours a week of tangible work products is received. You’re Able to Work “On” Your Business, Not “In Your Business” – You will have time to do more work on your business instead of juggling daily tasks and new projects. Interns Will Help You Grow Your Business – Regardless of the type and size of your business, it will grow with the use of highly educated interns. Interns can work virtually (that is, remotely), in your office, or both. 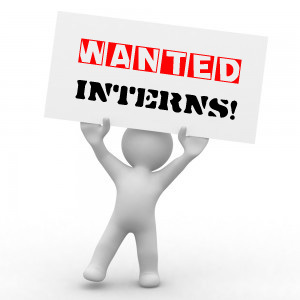 No matter what your situation is, there is a way to boost your business through the use of an internship program. Find Potential Employees – You have the opportunity to do what an interview cannot show you, a chance to see how well this person works with your business and your team is a huge benefit before actually hiring the person. Interns have made a huge difference in our businesses and they can in yours too. We now finish and start more projects, and are more thorough in the overall analysis of our business, and its profitability. By giving back to your community at large through starting your own internship program, you can mentor your way to the top of your niche. You’ll free up more time, make more money, increase your visibility, grow your business and provide mentorship opportunities to future professionals and business owners. If you have a question about getting started with interns, please leave it below for Dreama. Dreama Lee is the Co-Founder and President of Efficient Enterprises Inc. She owns and operates several real estate and internet marketing businesses throughout the U.S. and Canada. Prior to becoming a real estate investor and public relations and marketing expert, she worked in policy and public relations in the Federal government in Washington, DC. 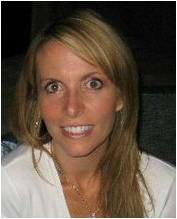 Ms. Lee holds a Bachelors of Arts in Foreign Affairs from The University of Virginia and is a licensed real estate agent in Washington State. A native of Virginia, Ms. Lee resides in San Diego, CA with her husband, Justin and two children. Intern Profits provides entrepreneurs the tools and resources to find, hire and manage interns to help grow and expand their business while creating educational opportunities for tomorrow’s talent today. Connect with Dreama on Twitter, Facebook, and LinkedIn. This entry was written by Dr. Shannon Reece, posted on February 14, 2012 at 6:00 am, filed under Guest Posts and tagged Dreama Lee, grow your business, InternProfits.com, internships, New York Times, small business tips. Bookmark the permalink. Follow any comments here with the RSS feed for this post. Post a comment or leave a trackback: Trackback URL.